FUSE Services Ltd - an explanation. Don't be conFUSEd. FUSE Services stands for First Unique Security and Electrical. We are an independent electrical company based in Boston Spa, near Wetherby and cover a large area of Yorkshire. Offering a full Part P registered domestic electrical service, as well as a full scope electrical service to commercial and industrial fields too. Being Members of the National Association of Professional Inspectors and Testers (NAPIT), we can reassure our customers of a professional safe approach to all our work. Why Unique? Our 21 years of experience has been with the petroleum retail industry, working in hazardous areas, designing, Installing, inspection, testing and certification of electrical systems both in and out of the hazardous areas. Also fitting CCTV Security Systems, Audio Systems and CAT 5 structured data cabling for internet, and wireless systems. We are Unique as we can combine all these systems to work in harmony with each other - something your standard electrician would either shy away from or do badly due to lack of experience and knowledge. Be assured We will take on any job form changing a light bulb, installing another socket to a full rewire. Periodic inspections for landlords from houses, offices, churches or petrol stations etc. We believe the customer needs to make an informed choice and offer advice where needed. We believe there are three ways of doing a job, the cheap corner cutting way, the right way or the over priced expensive way. We are in the middle and charge a fair price for a decent job. 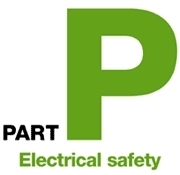 Fully Qualified Electrician all Aspects of electrical work carried out Domestic and Commercial. Specialising in Security. Security lighting Intruder Alarms CCTV Garden lighting. Specialist Services Specialising in Energy Efficiency and energy saving products. Free Surveys.